Congratulations Arby's. You invented bacostrami. But let me back track a bit. 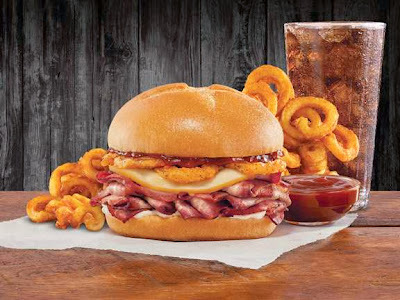 My rabid fan “mcole” sent me an email asking if I had tried the new Smokehouse Brisket Sandwich from Arby's. No, I had not but I was just walking out the door to eat lunch so I thought “What the heck…anything for a stalker…I mean a fan”. 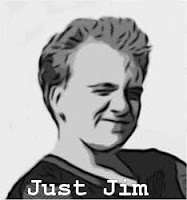 And as regular readers know, we here at reviewspew.com love Arby's. I get there and I order it in a combo meal, medium with curly fries and pour a tall refreshing cup of Minute Maid Light Lemonade. Mmmmmm delish. This sandwich is on the expensive side ($8.99 for the combo) but isn’t everything nowadays. Damn (insert the political party you hate)!!! First of all it’s a good sized sandwich. It has some heft to it. Which I like in my sandwiches and my women. Here’s the official description of this sandwich: “Arby’s Smokehouse Brisket is piled high with slow-smoked (for 13 long hours ) beef brisket, topped with smoked Gouda cheese, crispy onions, BBQ sauce and mayo, and served on a toasted, bakery-style bun.” The sandwich actually matched that description perfectly. It looked good and wasn’t messy to eat. The bun is great. Very sturdy and helped support the meat and cheese very well and had a great flavor. I’m a big fan of this bun. The Gouda cheese, well I just don’t know. I’m not a fancy Frenchman so I don’t know if this is good Gouda or not, but I’m thinking (since this is Arby's) then perhaps it’s not the highest quality. But I will say this. It was good. It offered a sharp contrast to the savory flavor of the meat. I liked it. The BBQ sauce, Mayo and crispy onions were a nice touch that complimented the entire sandwich. I tried putting a little horsey sauce on this sandwich and it just ruined that bite of it, so let’s just say the Arby’s test kitchen has discovered the right blend of flavors here. Now the meat. As I already alluded it’s seems to be a cross between bacon (the old round bacon that McDonalds use to have) and Pastrami. But that isn’t a bad thing. Bacon is awesome and as we all know, Pastrami is the most sensual of all the salted, cured meats. 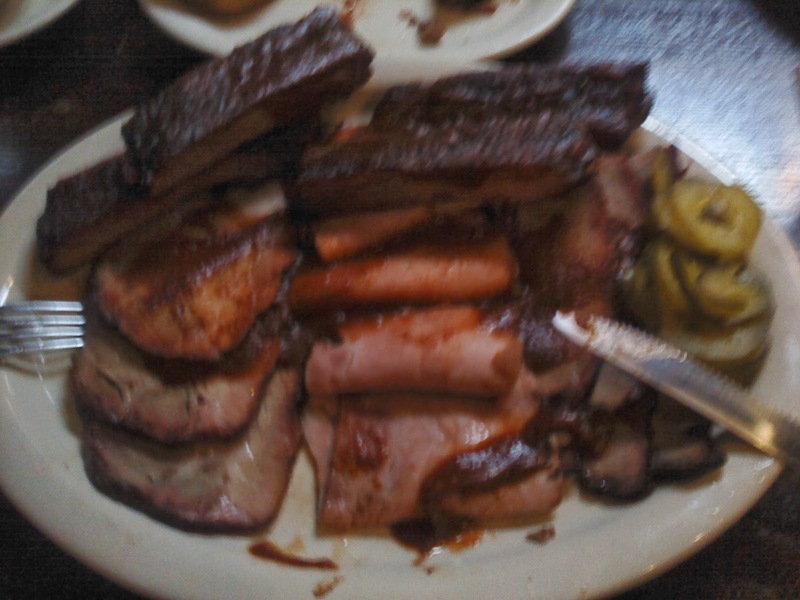 So ya, this is pretty good meat. I’m not sure it’s what I would call Brisket. If they slow smoked it for 30 more minutes it would be as dry as jerky. Brisket is supposed to be really tender and this is more bacostrami-licious. delightful flavors zinging around your taste buds. The problem is that by the end of the sandwich, I had grown tired of all that flavor. It hard to explain. It’s like day 5 at Disneyland. I’ve had fun, but my legs hurt and if I see another smiling face wearing Mickey ears I’m going to punch it. So ya, too much of a good thing isn’t always good. This is another reason why I can’t call this brisket. I can eat pounds of brisket. Plate after plate after plate of brisket can disappear down my gullet in a single sitting without any problems whatsoever and yet with this, I was done before the sandwich was gone. 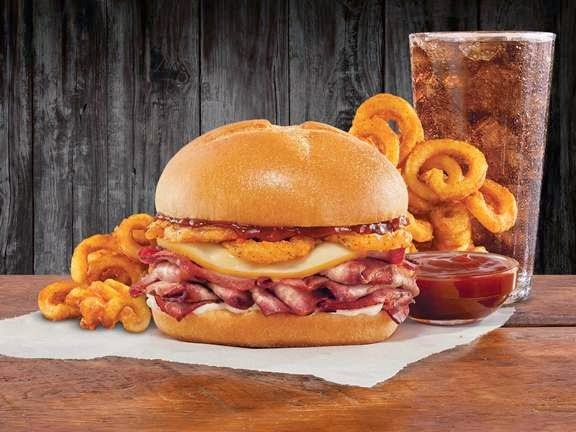 I’m going to award the Smokehouse Brisket Sandwich from Arby’s four stars. Not perfect but dang good and above all else, unique; a rare quality among fast food fair these days. Enjoy. Gouda is a Dutch cheese, not French. They have gone into new territory with all this extra stuff on the sandwich. BBQ joints do brisket and BBQ sauce, period. I haven't tried it yet but it's on my list. Oh I'm terribly sorry Mr. Smarty Pants. When I see something as pretentious as Gouda Cheese I just automatically think French. (The same goes for anything that smells like sweaty crotch - which is not the case here but just in general). Despite the error in this case, I still think that this is a sound principle and will continue to live by it.